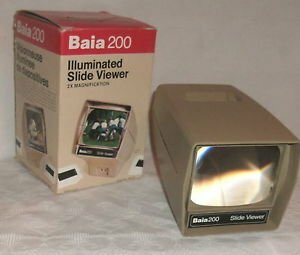 Illuminated slide viewers enable you to view old slides with bright lights and without distortion. Many users describe purchasing an illuminated slide viewer to as a helpful tool as they begin scanning old slides into new digital formats (Source). The battery-powered Pana-Vue 1 gets solid reviews- it is a tabletop option that provides 4X magnification for 2x2 slides, and is powered by a pair of 'C' batteries. You can stack 36 slides at a time and then load them with a simple push-pull to view them in the 2.5"x2.5" viewing screen. You can also purchase an AC adapter to use with it so that you can just pop the light switch on and add slides in and out at your leisure. 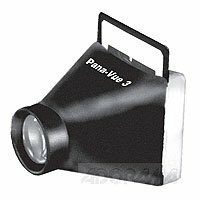 The Pana-Vue 2 illuminated slide viewer is a decent option for users looking for a basic and simple to use slide viewer that will allow them to sort through slides quickly and easily. Most users of the Pana-Vue 2 slide viewer like the fact that it is easy to use and allows for enough magnification to view slides in less than optimum conditions. On the other hand, some users found the Pana-Vue 2 to be lacking in features and too limited. All in all, the Pana-Vue 2 illuminated slide viewer is most appropriate for those users on a budget that don’t need high-end functions in their viewer. Most users of the Pana-Vue 2 slide viewer found the 2X magnification, folding stand, and backlighting to be enough functionality for their uses. The lack of advanced functions for many owners was justified by the fact that slides can be gone through quickly and easily with this viewer. 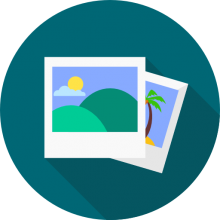 For one user, the viewer was perfect for categorizing approximately 1,000 family slides. On the other hand, some users found the illumination to be insufficient and the magnification to be lacking when trying to bring out the details in slides. All in all, the Pana-Vue 2 is most suited for the budget-conscious buyer looking for basic functionality. The Pana-Vue 3 Slide Viewer for viewing 35mm transparencies was found to be an efficient and economical way to view a high number of slides by most viewers. Although the Pana-Vue 3 does not come with a bevy of sophisticated functionality, for most users who are looking for something that allows them to view a high number of slides quickly, this slide viewer was a good choice. For those users looking for more functions to allow them to see in greater detail the Pana-Vue 3 was too limited. All in all, the Pana-Vue 3 slide viewer is a good choice for those looking for basic slide viewing functions. For most users, the compact Pana-Vue 3 provided enough features and basic functions to meet their needs. The 2X magnification and translucent back provides for a simple to use system that uses free ambient light, freeing users from having to worry about batteries or bulbs. Other owners, however, found the lack of powered light inhibited their ability to notice details in their slides. For users who need only limited functionality the Pana-Vue 3 is a choice that provides good value. The Kaiser 202011 Diascop Mini 2X slide viewer is a slide viewer best suited for those looking for a basic viewer that offers a good value but with limited functionality. Most users of the Kaiser slide viewer praised the unit for its ease of use and reliable yet limited functions. Other users, however, found the unit was lacking magnification and was unsuited for anything but the most basic viewing functions. For viewers looking for simple and economical, the Kaiser 202011 slide viewer is a good choice. For most users, the Kaiser to 202011 offered enough functionality through the angle viewing features and 2X magnifying lens to allow them to use it to sort through slides accurately and quickly. For other users, the magnification was insufficient and a limited number of users reported problems with the battery posts inhibiting usage of the unit. All things considered, the Kaiser mini slide viewer is best suited for budget-conscious users who don’t need sophisticated functions. 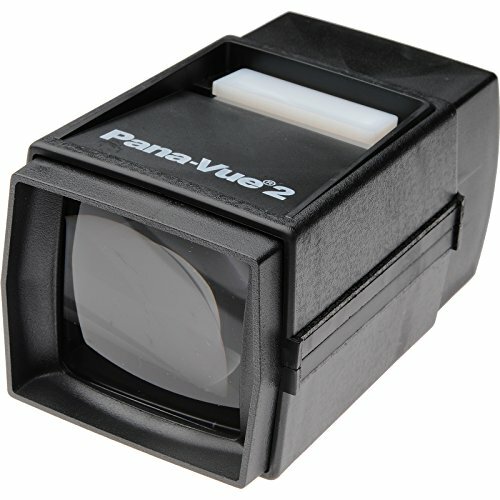 The Pana-Vue 1 lighted 2×2 slide film viewer for 35mm is a viewer that provides convenience and ease of operation according to most users. The ability to stack and view up to 36 slides with easy operation was a feature most users recognized as important. Although some users commented on the flimsy design, the Pana-Vue 1 lighted viewer is a good option for those looking to sort through a high number of slides in the most efficient manner. For most users, the 4X magnification and 2 5/8 inch square viewing screen allowed for easy viewing with enough display of detail to sort through numerous slides in an efficient manner. 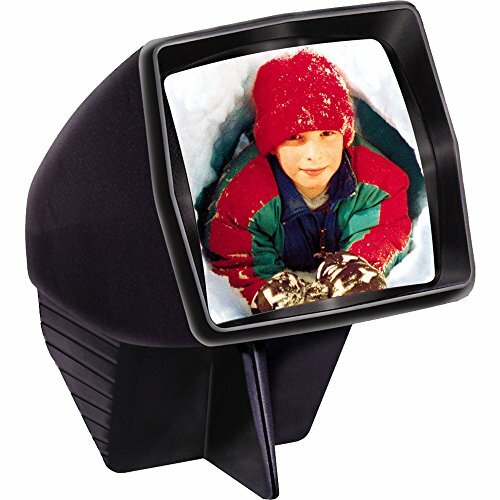 As opposed to other viewers, the Pana-Vue 1 lighted features enough magnification and lighting to be able to distinctly discern details of most slides. Although some users found the light switch to be flimsy, the Pana-Vue 1 is a good choice for consumers looking for a viewer that provides good value. Many people that purchased illuminated slide viewers described having inherited 35mm slides from their parents that they wanted to sort through and transfer to digital media. Users prioritized bright lighting, image clarity, distortion-free imaging, ease of use, affordability and portability in their purchasing decisions. Some of the slide viewers have weaker magnification than others, at 2x, while other stronger options are available at 4X. In addition, some of these slide viewers allow you to load slides in, and shuffle through them, while with others you will have to load one at a time. While most of the slide viewers are small and lightweight, be careful as you sort through them because some of them have stronger and more robust feature sets than others. If you are looking to purchase an illuminated slide viewer for examining transparencies, there are certainly some inexpensive and highly functional options available for you on the market today.